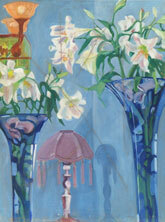 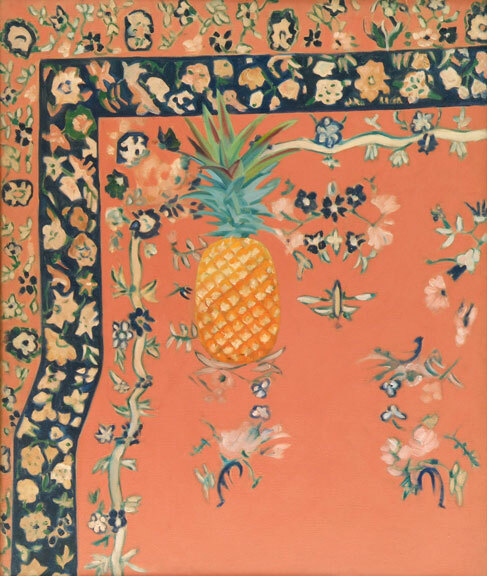 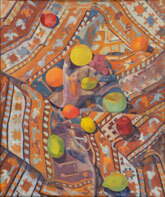 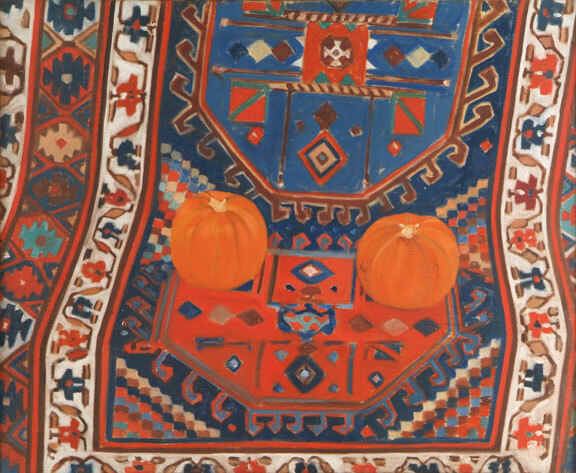 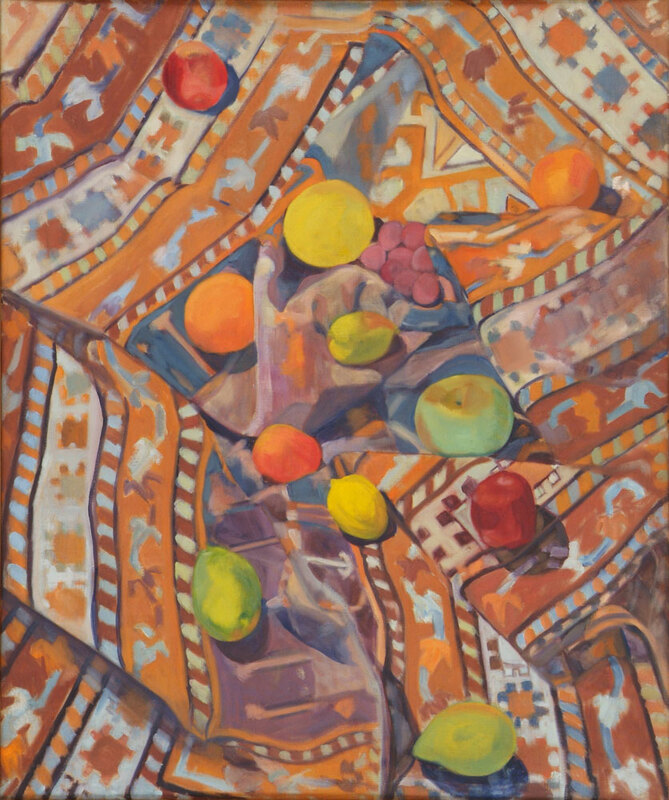 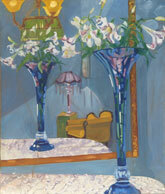 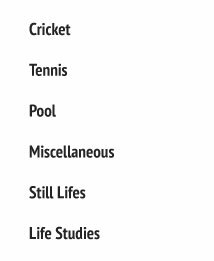 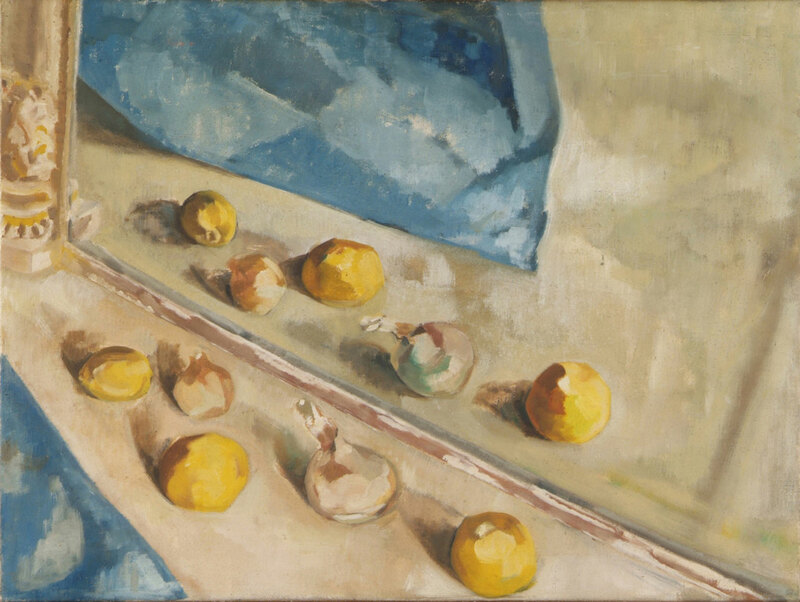 There are 15 paintings in the Still Life collection. 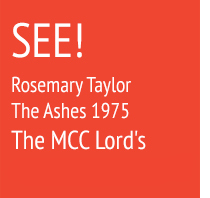 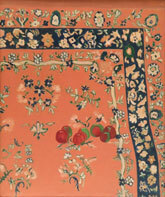 None has been exhibited previously. 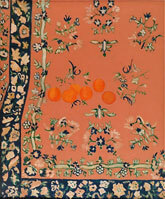 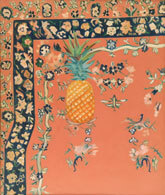 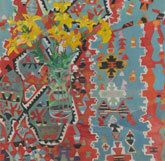 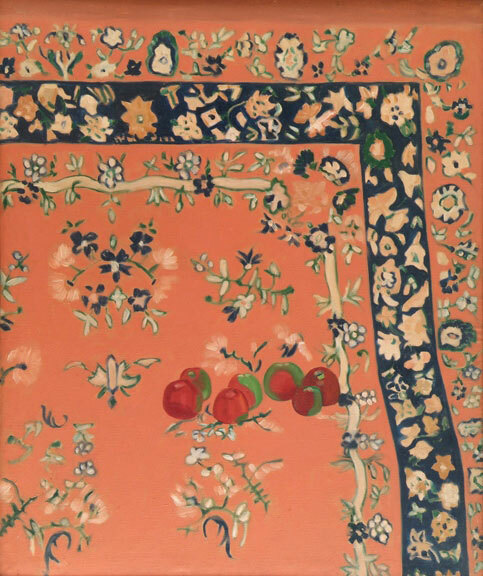 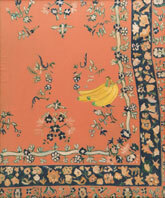 Ten are carpet paintings, reflecting the tradition of hanging oriental carpets on the wall. 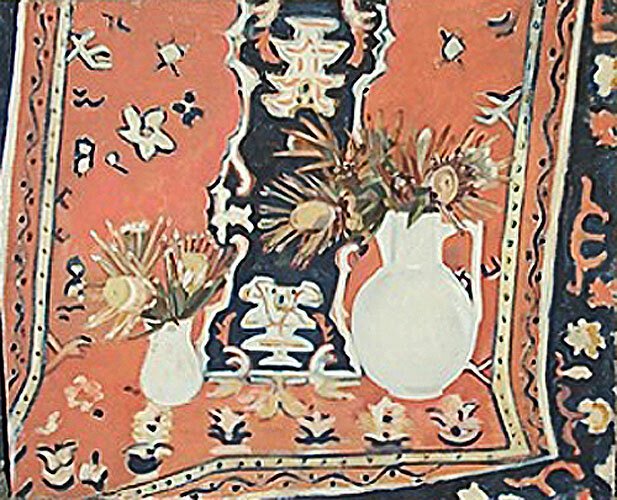 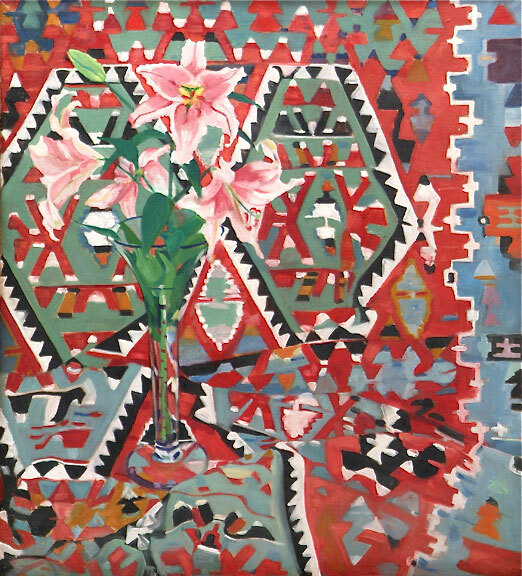 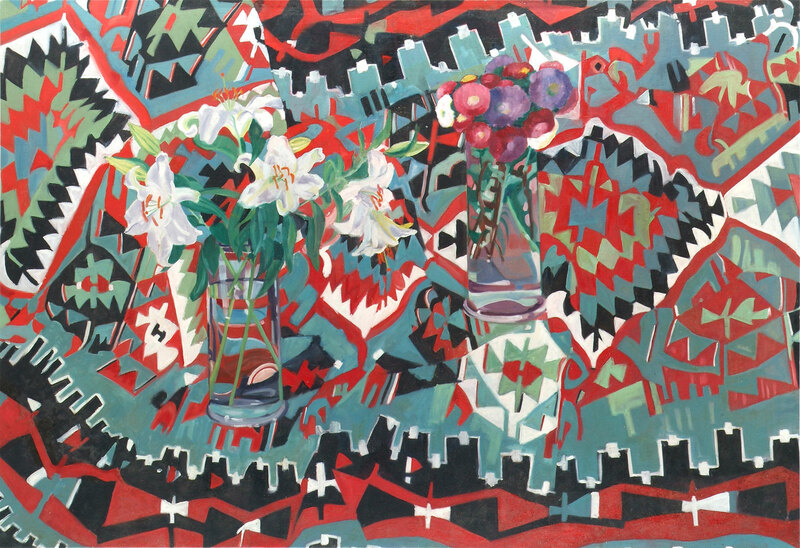 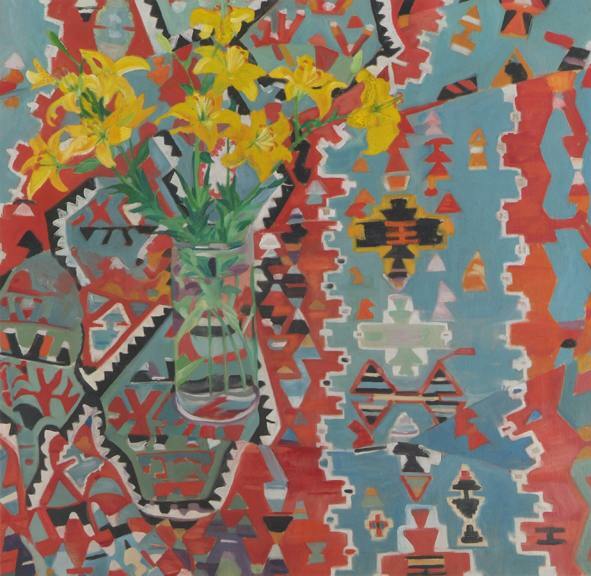 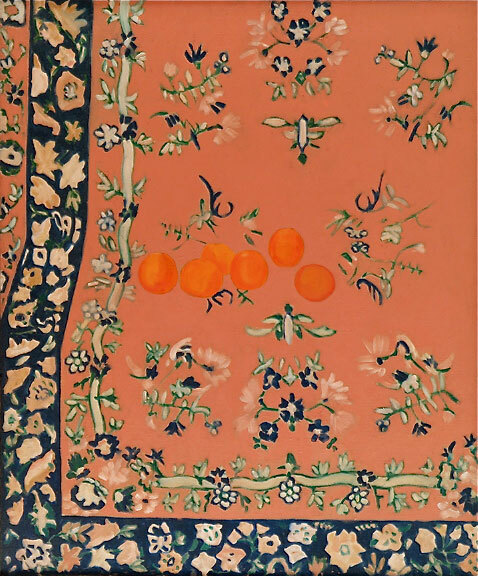 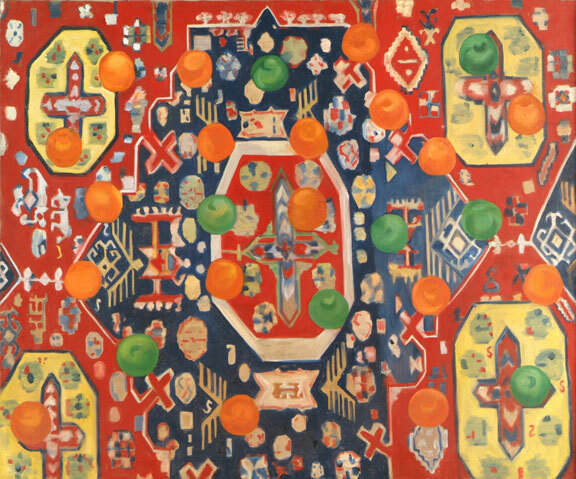 in a jug on a glass table"
These carpet paintings are a radical development of Matisse's use of a blue tablecloth, a Toile de Jouy, to flatten pictorial space--here by the further imposition of geometrical/abstract patterns, so that the subject matter is absorbed into the carpets. 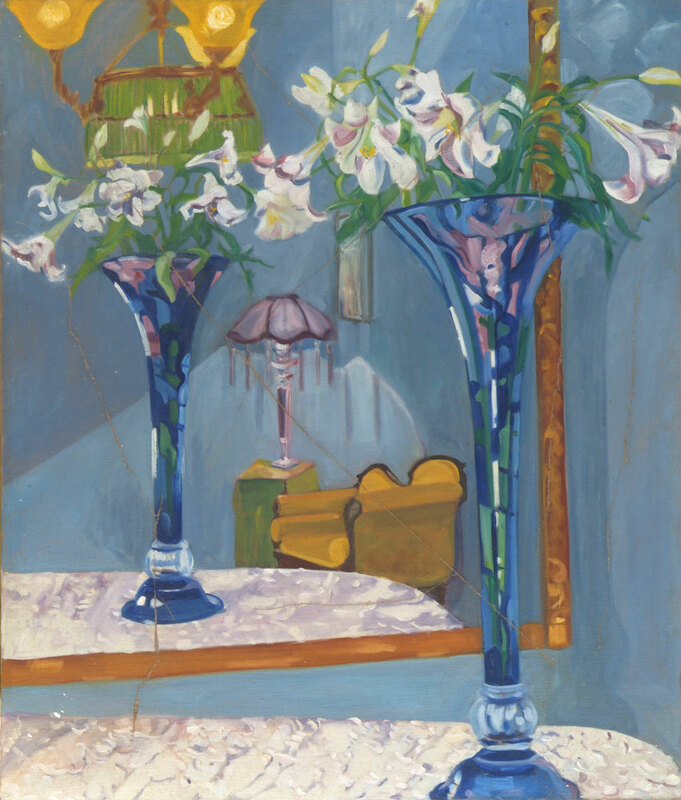 Throughout the still lifes, a mirror is often used to further complicate pictorial space. 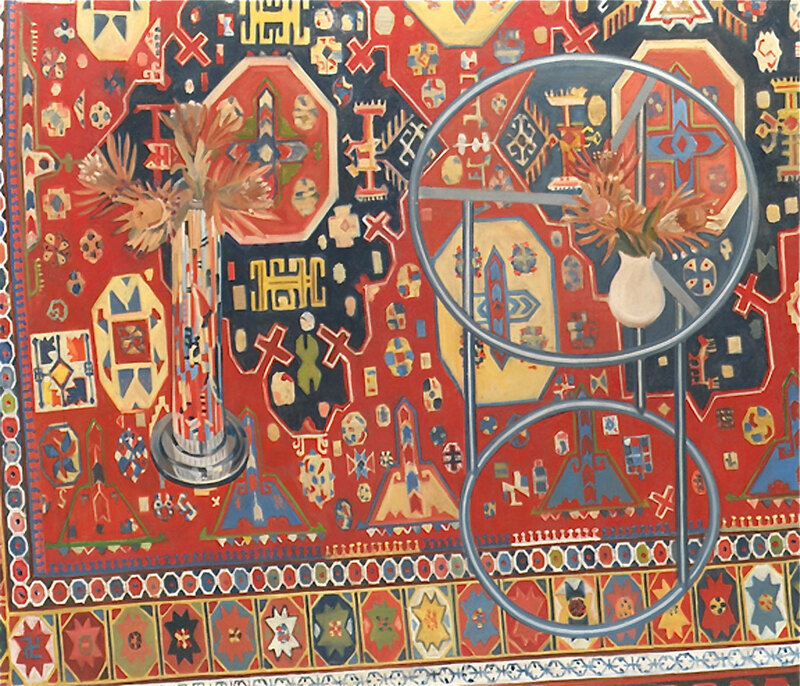 These paintings range from 3’ x 4’ to 5’ x 6’. 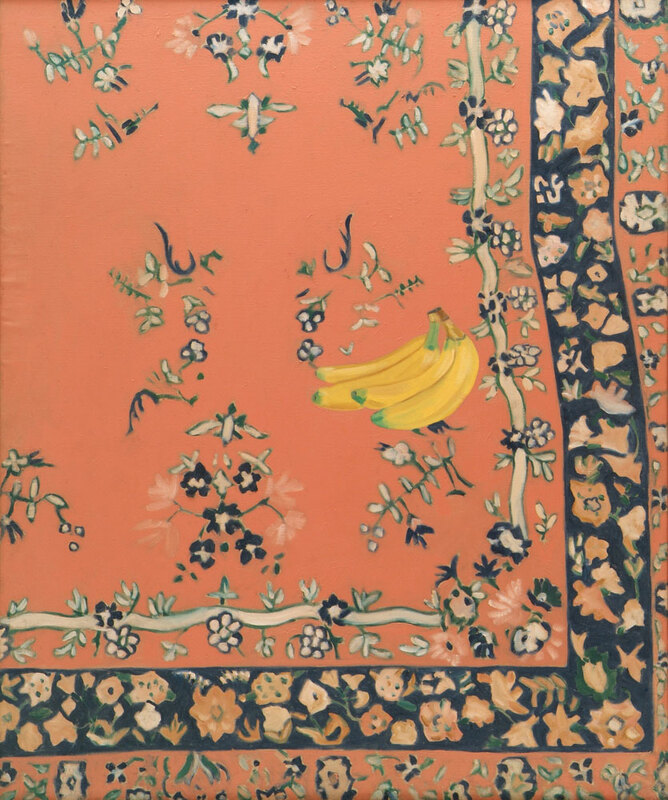 The last four in the series are meant to read as one painting - one carpet, one in which the edges will never meet.